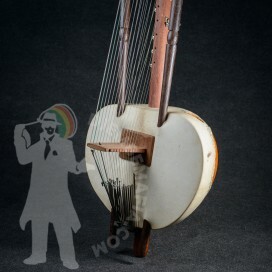 Are you ready for something unique? 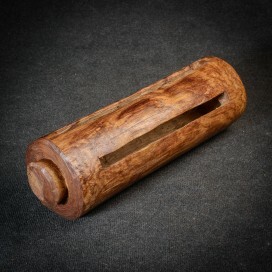 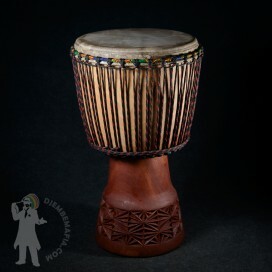 Very special and rare malian djembe design "mushroom" style djembe shell. 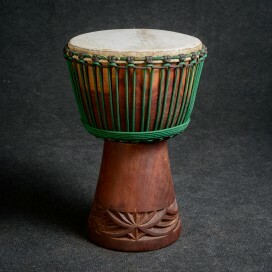 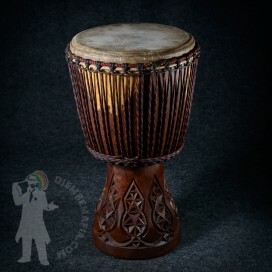 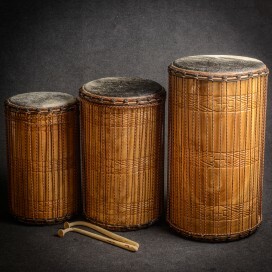 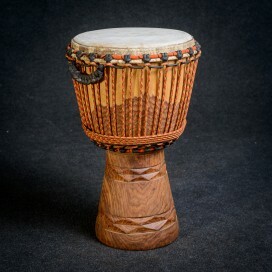 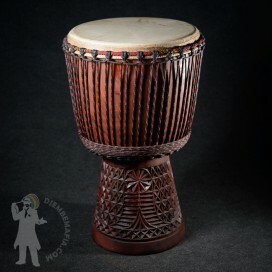 Very round specific djembe head shape provides this drum with superb sound quality. 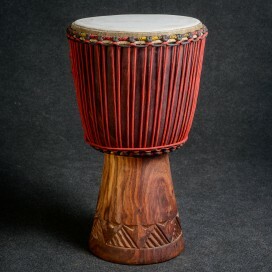 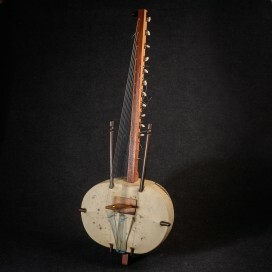 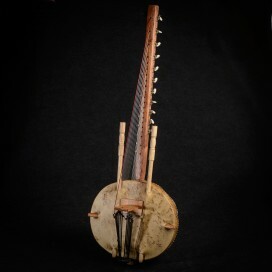 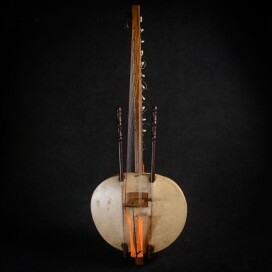 Ivory Coast goat skin supplies its qualities. 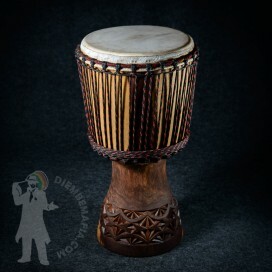 Bass is strong and obviously sounds in different frequencies than other djembes, but wait for the slap tones.. Little fat killer awaits your commands!